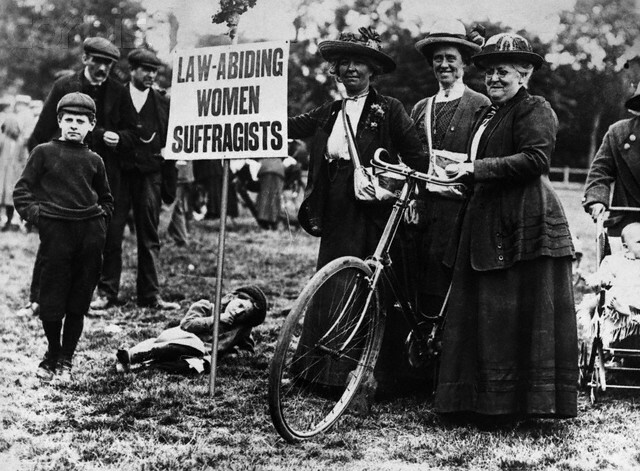 Perhaps one of the main reasons why people who love cycling love cycling is the sense of freedom it provides, but in no context is it more true than in that of the Suffragettes. This year marks 100 years since the law in the UK was changed and women were allowed to vote for the first time, and the humble bicycle played a key but under-recognised role in the journey. It is not obvious to see the bicycle as a symbol of social liberty, but the Suffragettes were able to start the process of personal independence through travel thanks to the two-wheeled invention. In turn, it also became a facilitator of more practical clothing – nothing says liberty quite like a pair of trousers, and after all who can cycle in a crinoline? In its primary function, the bicycle gave women the freedom to travel under their own power, a small but mighty element in the quest for equality. 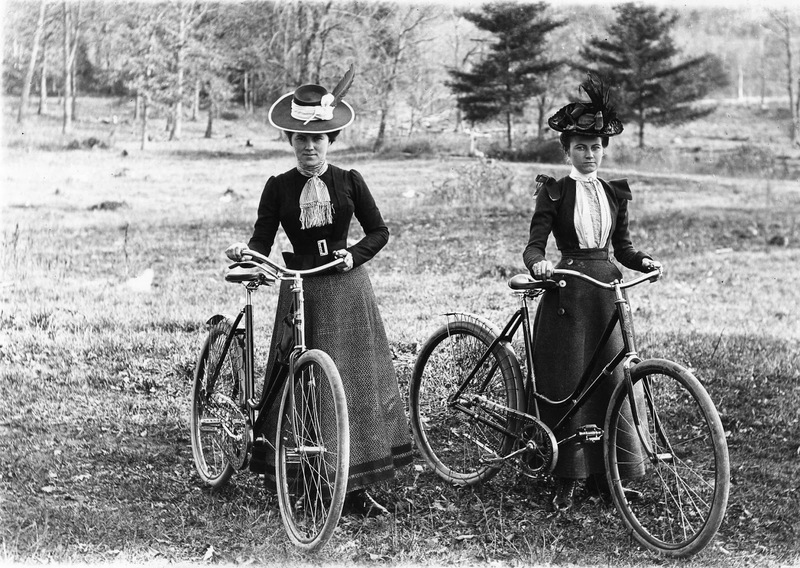 Before the bicycle was introduced in Europe in the late 19th century, women had been expected to travel predominantly on foot, in carriages, or on horseback, always supervised and preferably at a leisurely pace. Naturally, the way you travelled was a divisive symbol of your class and power. Walking marked you out as lower class, while upper-class women were to largely remain indoors – fragile creatures that they were. The bicycle was not the only new mode of transport to set a change in motion. The increasing prevalence of the car also made travel easier and faster. 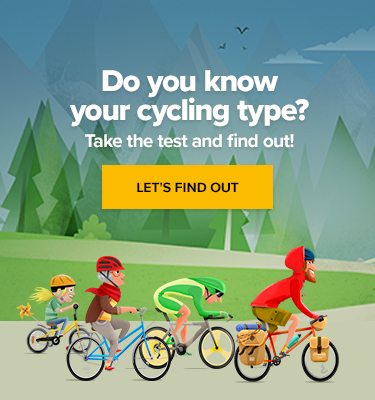 The bicycle, however, was less expensive, easy to use, capable of high speeds, and did not support a chaperone. It was a facilitator rather than a status symbol, having originally been (obviously) a male-only enterprise because of the need to ride astride. However, when the “safety bicycle” first came about, women began to consider the possibility that they too could ride it. What was a mere toy to men, soon became the steed on which women could ride into political battle. The need for shorter skirts in the pursuit of safety was the starting point for a change in restrictive fashions, although the trend for bloomers took a while to reach beyond the walls of Paris. The collective impact of these elements surrounding the bicycle on a practical front became the symbols of the ‘new woman’ of the 20th century – one not solely bound by the traditions of class and childbearing. From adventurers like Annie Londonderry to those simply using the bike to just run their errands, the bicycle has been more to women than a simple mode of transport. Something to remember next time you take yours out!